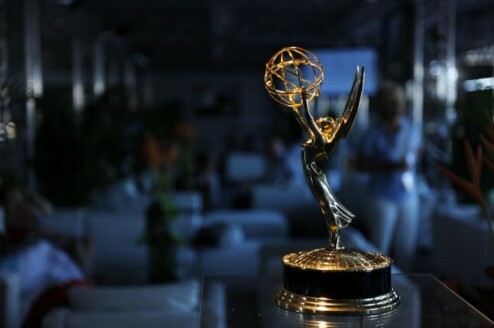 NEW YORK, April 27 — Last night, the Red Bull Air Race World Championship TV program earned its second prestigious Sports Emmy® Award from the National Academy of Television Arts and Sciences during the 31st Annual Sports Emmy® Awards in New York City. ten100 Executive Producers, Andrew Stephan and John Dorsey were on hand to receive the award. The Red Bull Air Race World Championship program, which was broadcast in the U.S.A. on Fox Sports Network (FSN) defeated sports television institutions such as Sunday Night Football on ABC, Monday Night Football on ESPN and NASCAR on ESPN. It is the second year running that Stephan and Dorsey have taken home the Emmy for this program.